62445301681 ;jsessionid=1017914huc6tqe2elt1tia0mjim4asj.10179?wicket:interface=:0:beta-club:modal-container:modal-content:content:body:login-rixty-form:visibilityContainer:fbconnect::IActivePageBehaviorListener:1:2&wicket:ignoreIfNotActive=true It seems like your browser is preventing Facebook Authentication. This happens when your browser's Tracking Protection is enabled. To continue logging in via Facebook, please turn off Tracking Protection or use a different browser. 62445301681 ;jsessionid=1017914huc6tqe2elt1tia0mjim4asj.10179?wicket:interface=:0:login-panel-small:login-small:login:modal-container:modal-content:content:body:login-rixty-form:visibilityContainer:fbconnect::IActivePageBehaviorListener:1:2&wicket:ignoreIfNotActive=true It seems like your browser is preventing Facebook Authentication. This happens when your browser's Tracking Protection is enabled. To continue logging in via Facebook, please turn off Tracking Protection or use a different browser. 62445301681 ;jsessionid=1017914huc6tqe2elt1tia0mjim4asj.10179?wicket:interface=:0:login-panel-small:login-small:signup:modal-container:modal-content:content:signup-form:fbconnect::IActivePageBehaviorListener:1:2&wicket:ignoreIfNotActive=true It seems like your browser is preventing Facebook Authentication. This happens when your browser's Tracking Protection is enabled. To continue logging in via Facebook, please turn off Tracking Protection or use a different browser. 62445301681 ;jsessionid=1017914huc6tqe2elt1tia0mjim4asj.10179?wicket:interface=:0:redeemcode:modal-container:modal-content:content:body:login-rixty-form:visibilityContainer:fbconnect::IActivePageBehaviorListener:1:2&wicket:ignoreIfNotActive=true It seems like your browser is preventing Facebook Authentication. This happens when your browser's Tracking Protection is enabled. To continue logging in via Facebook, please turn off Tracking Protection or use a different browser. Age of Wushu is a new MMO that recreates an ancient Chinese world of kung fu. If the term Wushu is new to you, fear not, it’s an easy concept to explain. Simply put Wushu is a general term for Chinese martial arts. For example in martial arts movies such as Crouching Tiger, Hidden Dragon or Hero, characters leap from rooftops and display gravity-defying feats of martial arts prowess. In Age of Wushu, you can perform all these unbelievably powerful skills and become a legendary Wushu master! In Age of Wushu each world event or quest you participate in grants experience, which is then converted into cultivation points. These points are then used to directly enhance your character’s internal skills and fighting moves. You can even gain cultivation points for your character while logged off. As such, the character development in Age of Wushu is completely different from traditional MMOs, there is no grinding or levels. 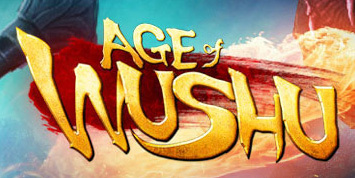 Visit www.ageofwushu.com and log-in to your Snail Games account. Once you are logged in select Top Up in the top menu bar. Select the game you wish to spend at and your Game Server, then click Next. Select the E-Wallet Partners bar at the bottom of the page. 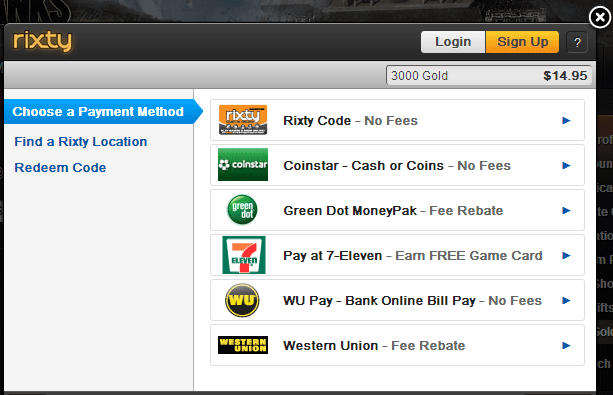 Click on the Rixty & Coinstar button and then select Next. 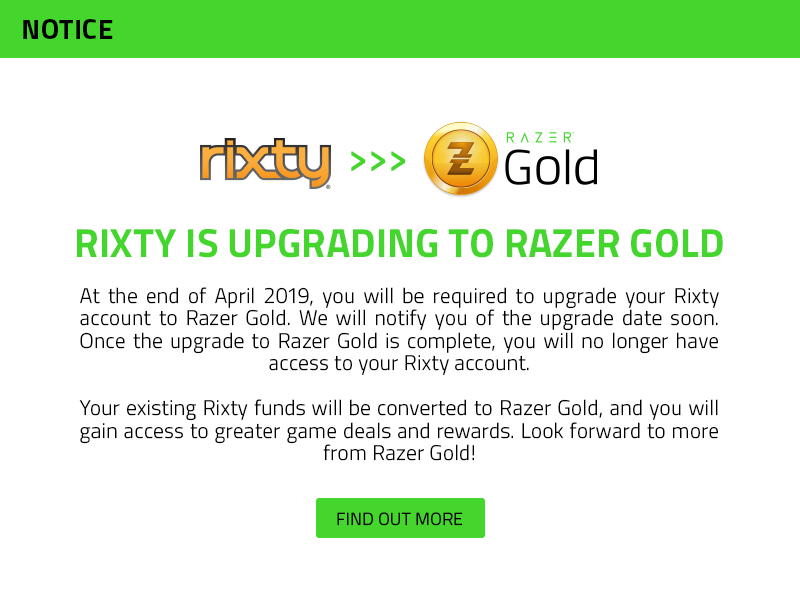 Select the amount of Gold you want to purchase by pressing Top-Up below the value. Confirm your purchase and press Buy Now.